The system enables the Arsenal to cut electricity bills and avoid peak power prices. It can power the club’s Emirates Stadium in North London for an entire match – equivalent to powering 2,700 homes for two hours. The Emirates was the first Premier League stadium to source 100% of its electricity needs from renewables in 2017. 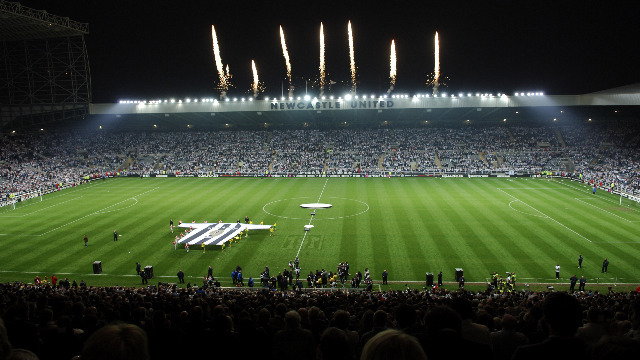 Also in 2018, Premier League side Newcastle United continued to pursue “carbon positive” status and recently installed a combined heat and power (CHP) system at its own St James Park Stadium, to reduce the football club’s emissions by more than 390 tonnes every year. ‘This isn’t to say that the club generates its own zero-energy power. You won’t find solar panels on the grandstand roofs or windmills spinning alongside the floodlights. Rather Carbon Trust certification means the club, in addition to reducing its energy use, off-sets more carbon than powering its entire operation creates. Working with consultancy Carbon Neutral Investments (CNI) and energy service company GET Solutions, the club has implemented a range of environmental and energy-saving policies, across all its activities, from its training grounds to its waste recycling. The fact remains that it still emits carbon dioxide. It offsets this “residual carbon footprint” by investing in offset credits, effectively putting aside money to spend on renewable energy projects, mainly in the developing world. These projects count as credits, by providing a renewable energy source to a community or area that would have otherwise relied on carbon-intensive fossil to fuel power generation, thereby creating CO2. 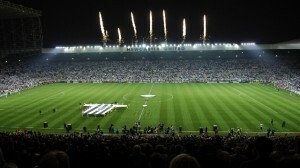 Yet although clubs could benefit from going green, as a way of boosting their image, as well as saving them money, Newcastle is one of the few, so far, to have taken that route. Even before this week’s announcement, Newcastle was one of only four mainline clubs to have attained the Carbon Trust Standard. To qualify, clubs commit to taking action to reduce their carbon footprints, and make a commitment to achieve carbon reductions year-on-year. The other three clubs are Bradford City, Bolton Wanderers and Manchester United. The Football Association (FA) itself, by virtue of operating the new Wembley Stadium, has also been awarded Carbon Trust Standard. It’s to the NUFC’s considerable credit that its staff were working behind the scenes to achieve their “carbon positive” status even while its football management have been fretting about results. Working with GET Solutions, the club was able to reduce energy consumption in, for example, its boilers, lighting and through staff behavioral changes. GET’s management software Energy Impact enables staff to see exactly where power is being used and to carry out remote checks to see if lights have been left on. Carbon Neutral Investments (CNI) then stepped in to offset the club’s residual carbon footprint, from the energy it was still using. A carbon offset negates or neutralises a tonne of carbon dioxide equivalent emitted in one place by avoiding release of a similar amount elsewhere – and that could be anywhere in the world. Carbon offsets are created through various projects, such as renewable energy, energy efficiency, and carbon sequestration underground or in soils and forests. Eddie Rutherford, Newcastle United facilities manager, said: ” We have successfully reduced our carbon footprint, saved £200,000 in energy bills over 3 years and gained independent recognition of our achievement and commitment to the environment. Newcastle has shown what can be achieved, even in the precarious world of top-flight football. At the beginning of this football season (August, 2012) the Cardiff University-based Centre for Business Relationships, Accountability, Sustainability and Society (BRASS) published a very illuminating report. Corporate Social Responsibility (CSR) in Sport: Investigating environmental sustainability in UK Premier League football clubs noted that the sporting industry – including football clubs – has been “somewhat slower” than other industries in taking on environmental practices in developing CSR strategies. Heledd Jenkins, BRASS Research Associate and the report’s author, noted: “Football grounds, with their massive water use and high-energy floodlights, are the site of many of the main environmental impacts of most football clubs.” In addition, there are the fans travelling to matches who “generate huge amounts of waste and carbon emissions travelling and sustaining their big day out”. Jenkins interviewed representatives from 23 football clubs – the 20 Premier League clubs for the 2011/12 season, and three relegated clubs. Clubs pointed out that, contrary to popular assumption, they have little spare cash and still have to be very tight with their budgets. Lack of funding was the biggest factor preventing development of sustainability strategies. Heledd Jenkins concluded thart most clubs appear to address environmental sustainability “in an ad hoc, unstrategic way, with no formalised management systems.